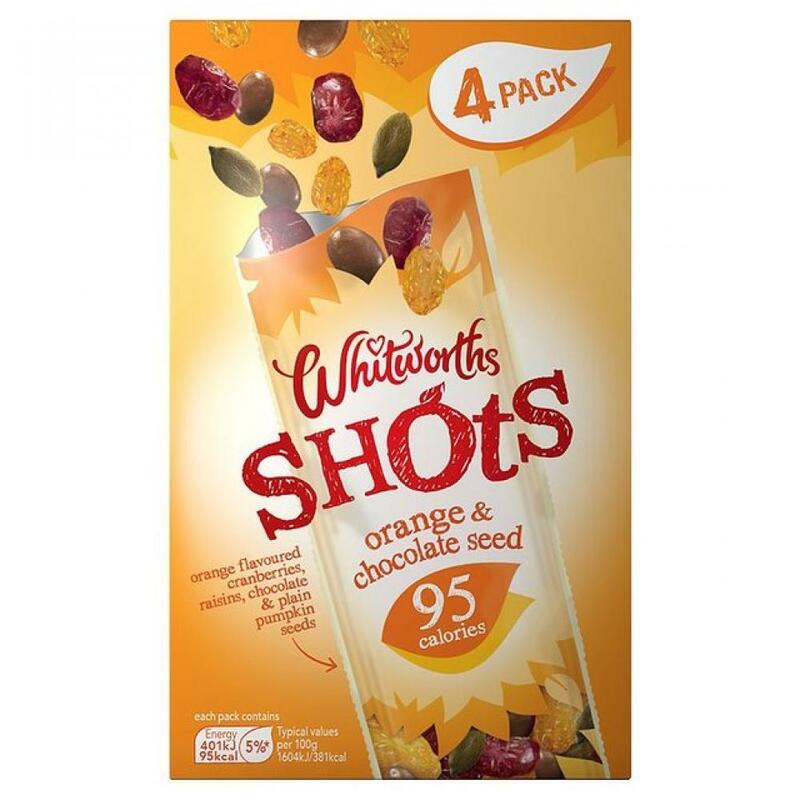 Say hello to our yummy, scrummy, eat-in-a-hurry orange & chocolate seed shots. Packed full of a delicious mix of orange flavoured cranberries, juicy raisins and milk chocolate-coated and natural pumpkin seeds, these good-natured little snacks are less than 100 calories. Handy in size they're perfect to tuck away, ready to enjoy anytime, anywhere.